You'd love to know more about African music but are too busy to research? 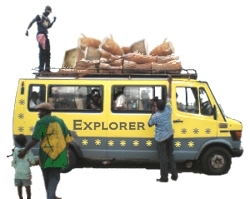 Then hop onto the African Music Explorer! Join me and get a taste of what it's like to explore music under the African sun! Hop onto the African Music Explorer! My monthly newsletter for all news and site updates.